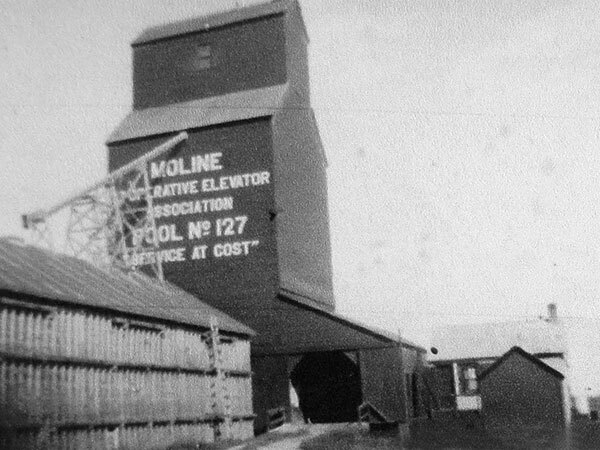 A wooden grain elevator at Moline, in what is now the Rural Municipality of Oakview on the former CNR Rapid City Subdivision, was built by United Grain Growers in 1913, one of the first elevators constructed by the company as opposed to being bought from others. 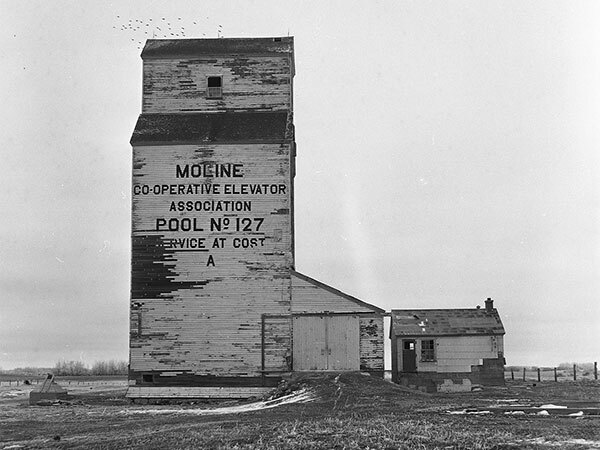 Traded to Manitoba Pool Elevators around 1948, it closed in December 1978 when the adjacent rail line was abandoned. The building stood vacant until at least the early-1990s and was later removed from the site. 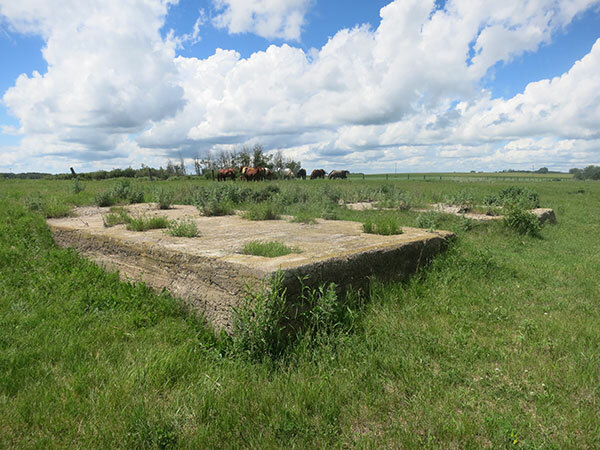 Only its concrete foundation was visible during a 2016 site visit. 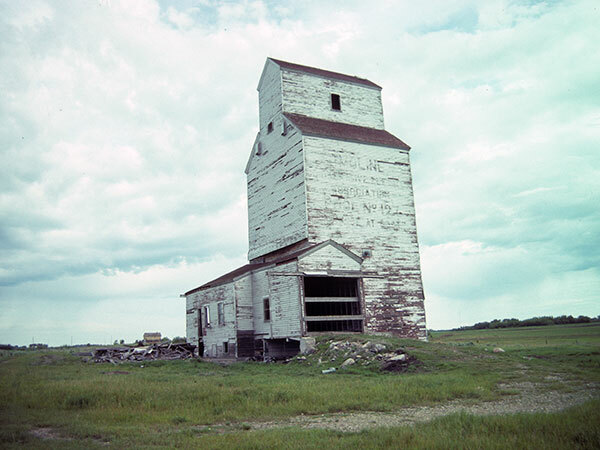 Source: Historic Resources Branch, Grain Elevator Inventory, slide 1988. Rapid City and District - Our Past for the Future, 1978, page 149. United Grain Growers Fonds, MSS76, Box 60 [Rivers], University of Manitoba Archives & Special Collections. Manitoba Pool Fonds, S. J. McKee Archives. Rivers East topographic map, 62K/1 East, Edition 1, Series A743 [UFS Reference Collection].